Printers are one of the basic accessories required in offices and even homes for printing or scanning documents. In many of the offices, there are different systems for faxing, printing and copier systems for large and small tasks. With the changing technology, you can find a wide range of all in one printer models on DealsCorner. We have products almost all major stores and brands on DealsCorner for you to choose from. If you use separate systems for copying, printing and faxing then all different systems occupy space in your office. With all in one printer models you have the flexibility to get all your work from the single system. Mostly all models of the all in one printer have the features of printing, scanning, copying and fax. The printing feature allows you to print several numbers of documents, images, reports and booklets as per the standard printing quality sent by the computer. With the scanning functionality you can easily convert hard copy documents into soft copy image format. You scan any type of documents, ID cards, etc. in the printing and viewing format. The copying function works similar to the photo copier system which helps in printing copies of your documents, reports or ID cards. The copying functionality does not require the internet connection to perform the task. For using the fax functionality, one needs to connect a telephone with the printer by which you can send the digital copies of the documents. Most of the offices still send the official or confidential documents through the fax mode. Special methods are used to transfer the information in digital format using the phone line. 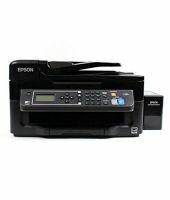 Apart from the basic features, there are several models which offer colour printing and copying features. Some of the models also have the Wi-Fi facility by which the scanned image will be directly sent to your or the recipients email you feed in. There are wireless printers which are connected through Wi-Fi, by which you can print documents from any location in the office without staying connected to the LAN network. 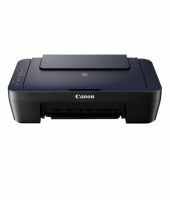 Some of the all in one printers, you can find slots for memory cards, by which you can access the information in your memory card directly from the printer. With the evolving technology, you can find many models with touch screen display, using which you can feed in the details or control the printer functionalities. 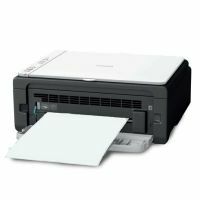 If properly maintained with regular digital filling ink and appropriate printer papers, then all in one printers can last long for many years. You can find a variety of models in different colours, designs and features depending on the model and make. All in one printer models are used in almost all offices and homes to simplify the printing, scanning and copying tasks. Even the basic models have all the required features which consume very small space. While choosing the all in one printer, decide the model depending on the type of features you need. You can find all sorts of all in one printer from various brands and stores on DealsCorner. You can search the product you need from any page you are on DealsCorner. You can use keywords like ‘printer’ or ‘all in one printer’ to get the complete product listing. 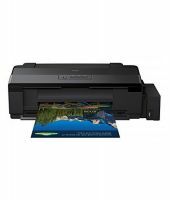 You can search, compare the prices and then make your final decision of purchasing the printer. With the help of comparison option on DealsCorner, you can choose the all in one printer at the lowest rate available in India.